We own our trucks, bins and de-husking. All you need is all-weather access to an area of flat ground. We have over 40 bins of various sizes with the majority 12 tons, so we can take varying quantities of nuts in husk when it best suits you, helping with high kernel recovery. Nut in husk (NIH) or nut in partial husk (NIPH) (which has been de-husked in the field) in bins is transported using our trucks to one of our receivable depots and de-husked for growers. Vessels delivered to our Eureka receivable depot are weighed on a certified weigh bridge. The truck and vessel tare off after they are emptied and weights for your nut in full or partial husk (NIH or NIPH) are available. At Pacific Farms we own our trucks, bins and de-huskers. It is because of these very productive systems that we are able to offer extremely low cost de-husking rates to our suppliers for NIH. 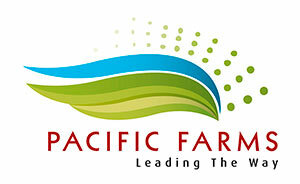 Pacific Farm Services uses tried and tested facilities which are constantly upgraded to ensure your harvest is dried and sorted at the optimum time, reducing the risk of mould and contaminants and maximizing kernel recovery. We have developed a unique drying system based on a process of unleashing the heat energy of the macadamia shell to reduce the moisture content using optimum temperatures to produce a fresher nut with superior shelf life. 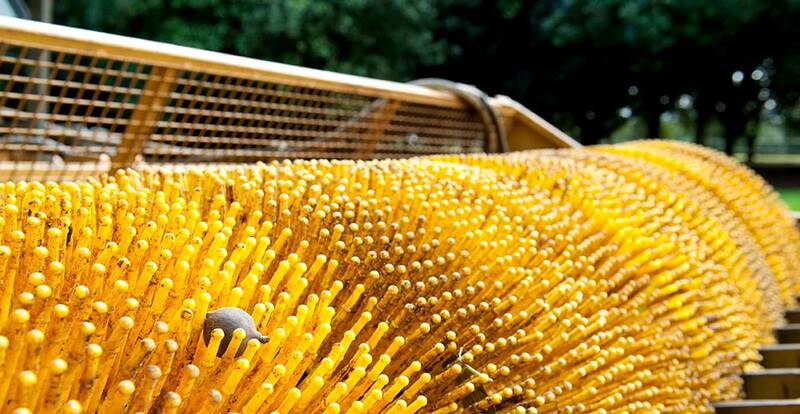 When the moisture content of the nut in shell (NIS) is suitably reduced for processing, the NIS can then be transferred to containers, ready for shipping to our processing facility.